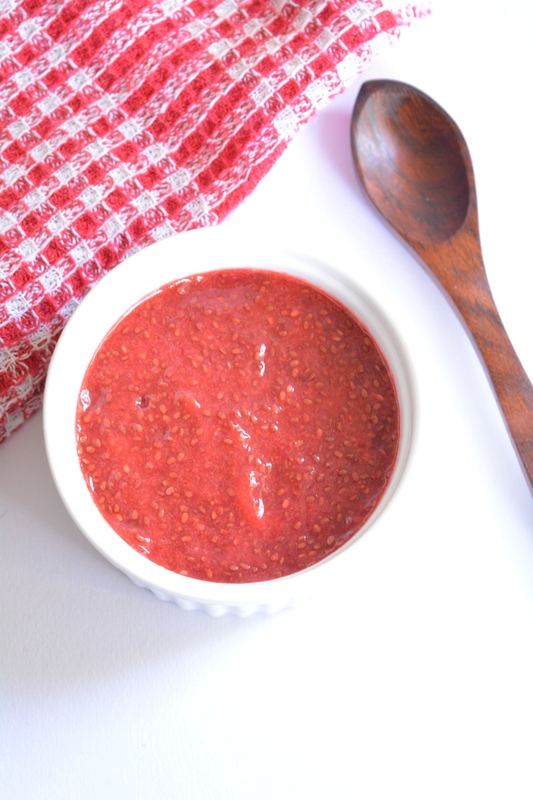 In a container, add berry puree and add chia seeds. Now, using a table spoon, whisk it well making sure there are no lumps. 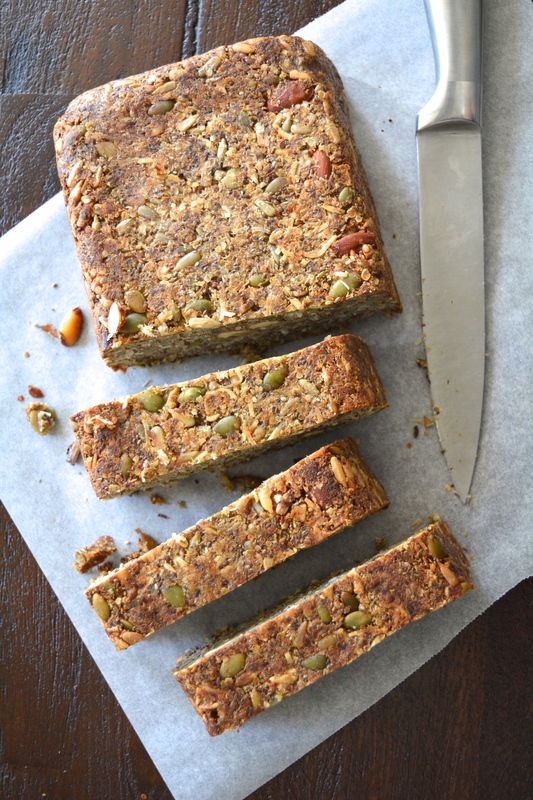 Do a taste check to see if you need any extra sugar, add more agave. After 30 mins, do the same, break the lumps and in goes into the fridge for overnight to set. Next day, Jam ready to go. 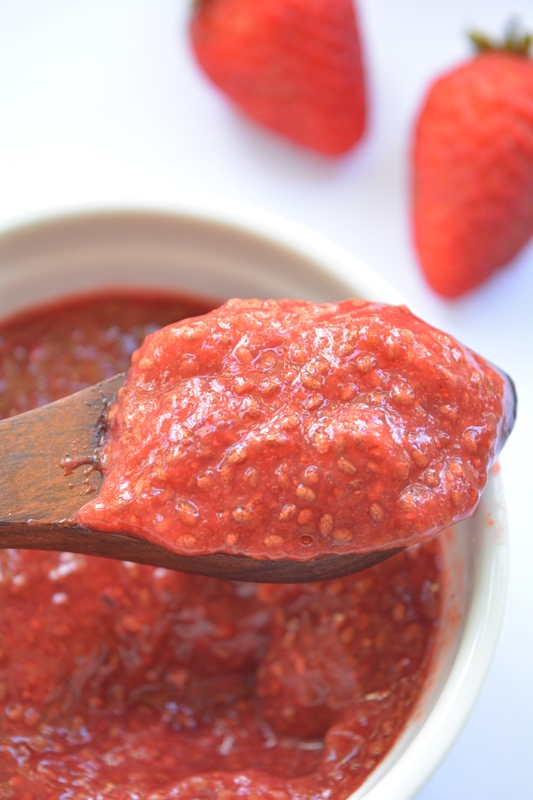 In a container, add berry puree and add chia seeds. Now, using a table spoon, whisk it well making sure there are no lumps. Do a taste check to see if you need any extra sweetener, add more agave. After 30 mins, break the lumps and in goes into the fridge for overnight to set. i make a version like the jam above! i love chia jam & pb is my go too! 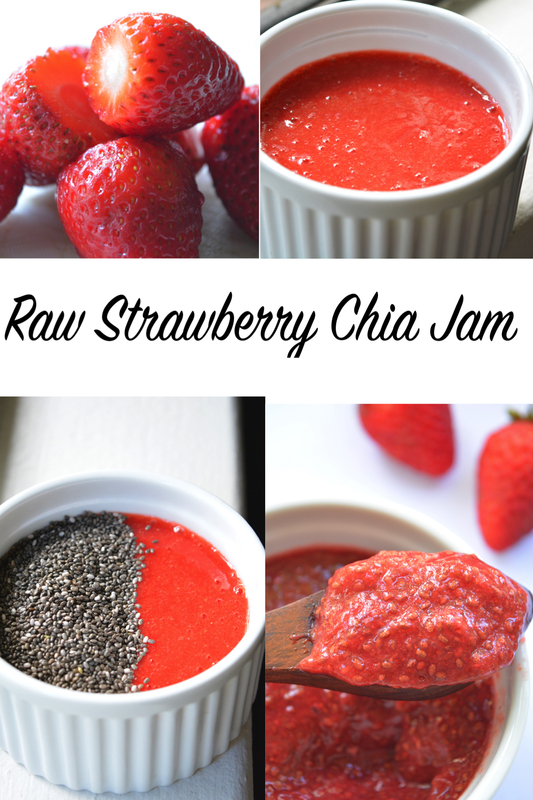 Jam looks fabulous…..love the addition of chia seeds in here…. 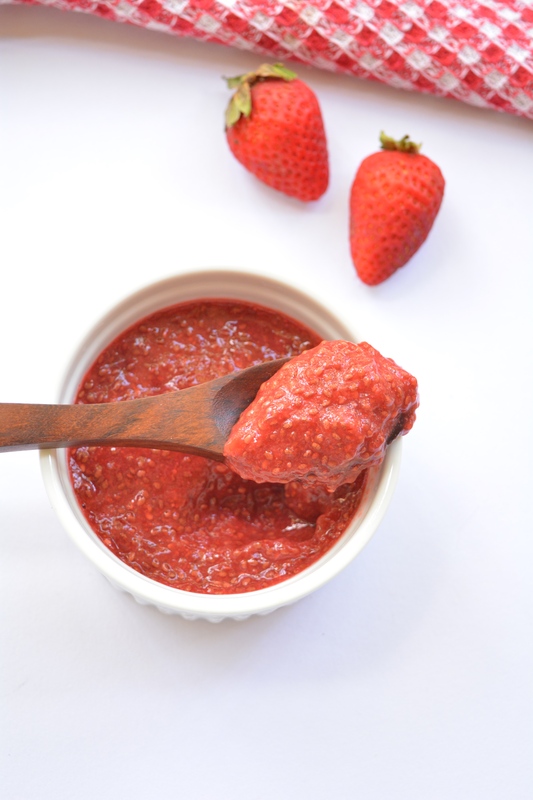 What a clever way to thicken jam without cooking or using pectin. 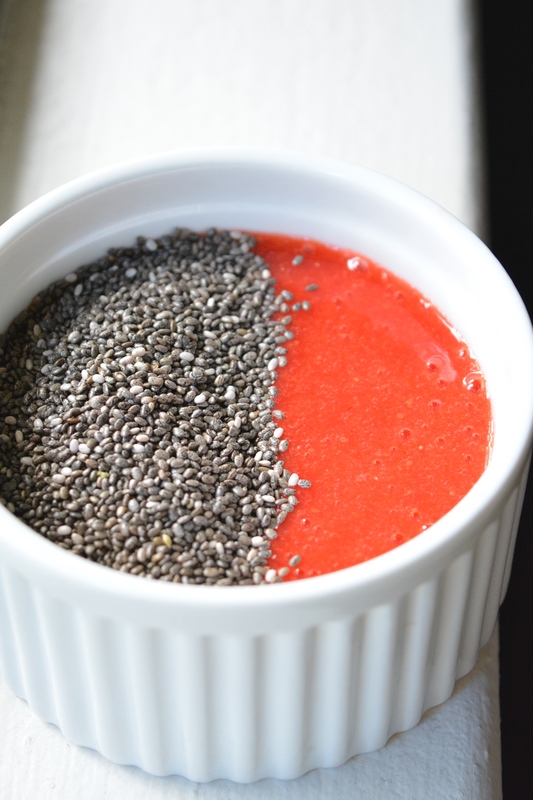 I am finding so many useful ways to use chia seeds I hadn’t thought of before. Thanks. Wow a no cook jam ??? Amazing work Charanya :). 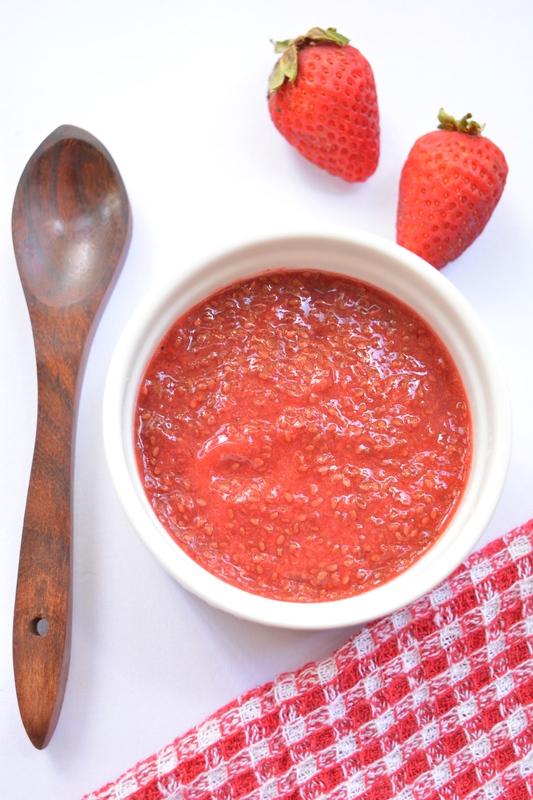 Jam is just awesome, chia seeds is definitely interesting!! Looks good, thank you! will make it today. How long will it last in the fridge?